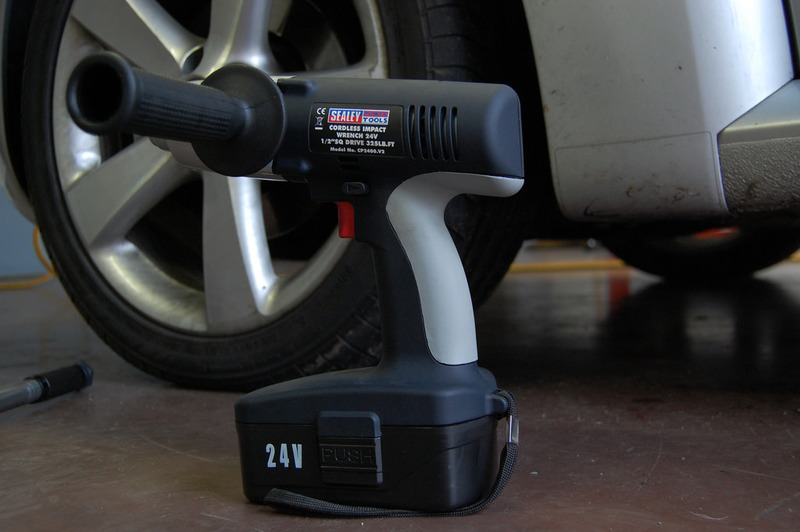 Impact wrenches are a common tool used by mechanics everywhere. They are typically used to remove nuts and bolts from cars and trucks, but they can be used for any job that requires a high enough torque. If you aren’t already familiar with impact wrenches, it can become a little overwhelming when shopping for one. Here are five things to help you select the ideal tool. You will find three types of impact wrenches in the market based on power source – hydraulic, pneumatic and electric. The one you choose for your purposes depends entirely on you. For users who have large air compressors to power an impact wrench, they should opt for pneumatic models. If you don’t have an air compressor and aren’t going to buy one anytime soon, consider buying an electrically powered impact wrench, these are good alternatives. Hydraulic impact wrenches are comparatively rare and mostly used for heavy duty jobs in industrial job sites. Impact wrenches are heavy tools that increase the amount of stress placed on your arms if used for extended periods. This is why you should keep the weight of the impact wrench in mind before buying one. Once your hands start to tire out, it will become difficult to control the wrench, this will increase your chances of making minor errors such as over tightening and under tightening bolts. Impact wrenches generate a range of torques, but it largely depends on how easily and quickly targeted bolts can be removed. Wrenches with higher torque ratings will be easier to use than ones that come with a lower rating. The amount of torque generated also depends on the size of the wrench itself, but keep in mind that heavier wrenches will require more control. Some wrench models allow users to control torque output, which can prevent instances of overtightening. Impact wrenches are available in a range of colors, shapes, and sizes. But one feature you should look for is how the wrench itself was constructed. Plastic housing will be lighter than metal alternatives, but it won’t provide much protection in the case of the occasional drop or two, you will find the concrete floor of your garage unforgiving. You should invest in an impact wrench that comes with metal housing if you know you will be dropping them a couple of times. Sure it will weigh more, but it will be more durable in the long run. Impact per minute is the rate at which the hammer inside the wrench hits the anvil. A higher rating means that the wrench will spin faster and loose bolts with greater ease. A downside is that higher ratings usually mean lower resulting torques. If you’re hard pressed for time, a high impact per minute rating will give you lots of use. But for regular work environments, you should opt for a more modest rating. Found a tool that is perfect for your DIY project? Now, you can rent it out instead of buying one at full price. Visit Garage101 for more information.